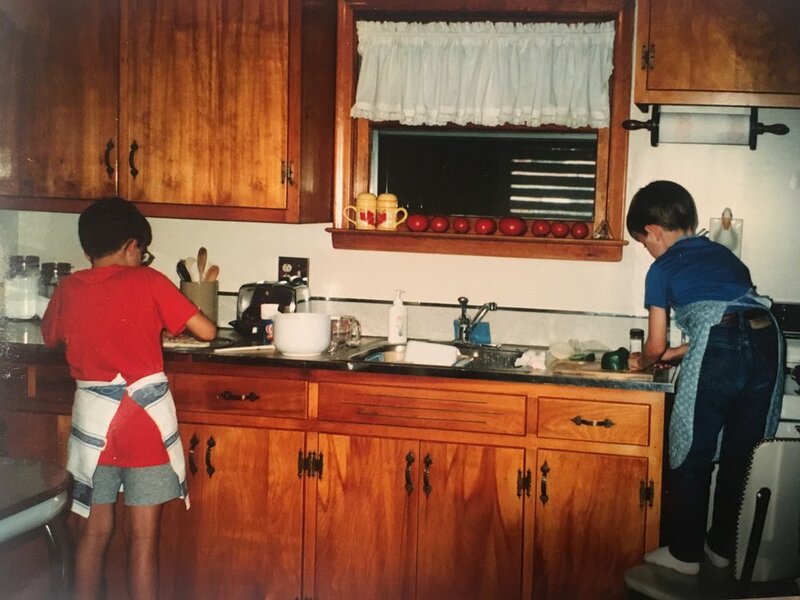 Back In The Kitchen — Field and Farm Co.
We love being in the kitchen with the kids, with friends, and especially with family, engaged in laughter and disconnected from those devices that have taken our attention away from the "now." 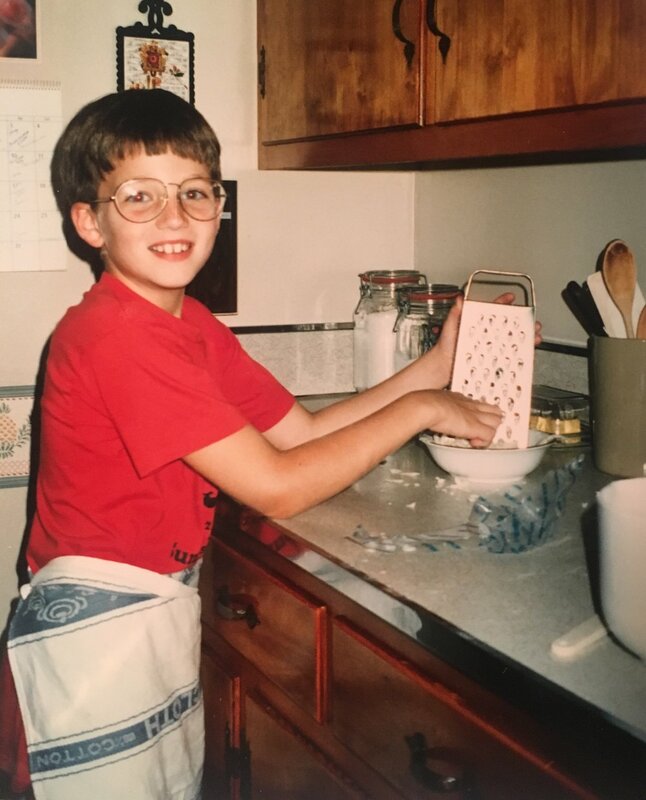 Many of my early memories are those of being in the kitchen. One of my first real lessons on patience involved Mom teaching me how to wash grapes and only after they were washed was I allowed to eat them. The struggle was very real for the 3 year old me. Then there were the gatherings with my Dad's family in Pennsylvania. 30 people smashed into a little space that comfortably handled six. The ladies spent hours in the kitchen preparing food while the men and kids returned the favor by handling clean up duties post Thanksgiving feast. At some point my dad and uncles would break into song, their old time gospel favorites highlighting the afternoon. Of course there is Grandma Betty. Dutch to her core, no baked good from her oven lasts longer than a few hours before being completely devoured. 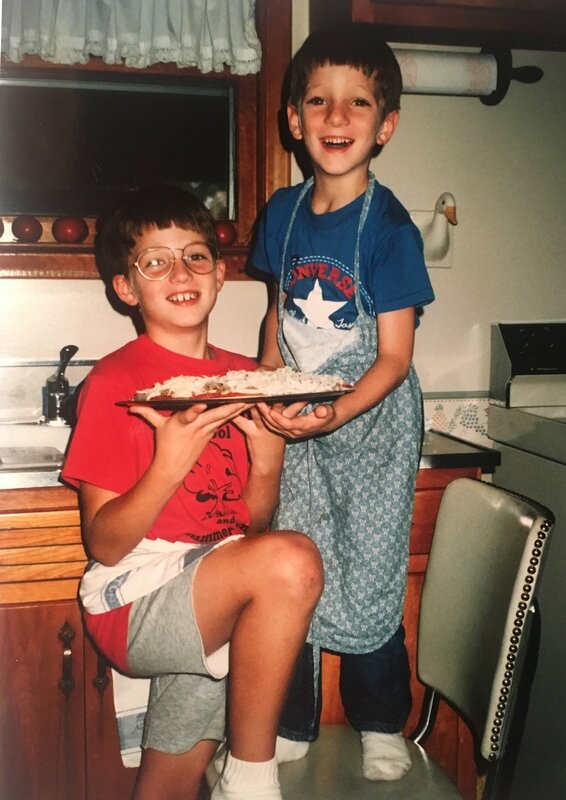 Under her patient guidance I learned how to bake apple pie. My crust still doesn't compare to hers, but after another two decades maybe I'll get there. Over the years many of us become disconnected with our food. Life is speeding along so quickly we no longer know where our food comes from or who prepared it. It's the conversations, the learning, and the experimenting that give Meghan and I our memories in the kitchen. The privilege of producing food expands the experience and deepens the fulfillment, as we now witness the process from seed to table. Here's to getting back in the kitchen, to understanding what we are putting in our body, and most importantly to spending time with one another.